For centuries people have been telling the story of (see here – Lady Howard) and her infamous hauntings in and around Dartmoor and as with any legend there is always a modicum of truth buried deep within. Except in the case of Lady Howard there is not just a grain of truth but a whole intriguing story and it is this that Laura Quigley has expertly related in her new book; ‘The Devil Comes to Dartmoor‘. A glance at the reference and source section of this book will demonstrate the vast amount of research that has painstakingly gone into its compilation. Not only does the book tell the story of what were probably the richest families in Devon throughout the sixteenth and seventeenth centuries but also gives an insight into life and events of those times. ‘Many will have heard of the ghostly white lady haunting Tavistock – the notorious Mary Howard, accused of murdering her four husbands. A few may know the true story of her lover, George Cutteford, a Plymouth ‘cutty man’ who became a Puritan lawyer. Cutteford was imprisoned in the horror of Lydford Gaol, persecuted by Mary’s fourth husband – Sir Richard Grenville, the most notorious and sadistic royalist General of the Civil War. But fewer still will know the secrets George Cutteford died to protect – secrets that would destroy his own family; end Grenville’s career in shame; and make a boy with no name the richest landowner in Devon’. With information gathered from varying historical accounts, including primary material unearthed over 100 years ago in an old London fish market, The Devil Comes to Dartmoor reveals the truth behind Mary Howard, Richard Grenville and George Cutteford’s eventful lives. • A civil war mystery explored for the first time, richly illustrated with archive and modern day images. • Research draws upon varying accounts of the lives of Richard Grenville, Mary Howard and George Cutteford. • Reveals new information about the Cutteford family and more on the lives of those in the seventeenth century who were not ‘gentry’ and whose lives were destroyed by the events of the period. Laura Quigley is a full-time writer who lives in Plymouth. Her interest in Mary Howard’s life was sparked after a visit to Okehampton Castle, scene of the legendary Howard haunting. In 2010, Amnesty International held a public reading of her play, ‘The Advocate’, based on the material in this book and directed by a member of the RSC. To the best of my knowledge ‘The Devil Comes to Dartmoor‘ is the first historical Dartmoor book published for quite some time and for me it certainly has the ‘wink‘ (Well I Never Knew) factor. 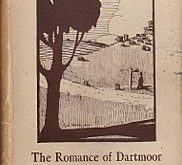 No matter where your interests lie, be it Dartmoor, history, romance or ghostly legends, they will be more than catered for within the pages. The author expertly guides the reader through what a times are complicated aspects and leaves no questions unanswered. The book comes with photographs and etchings of some of the pertinent places related to the story along with portraits, family trees and a list of the major characters. I will say little else about ‘The Devil Comes to Dartmoor‘ for fear of spoiling an excellent read, simply go and buy a copy as it’s worth every penny. Laura Quigley has a book signing at Waterstones in Drake Circus Shopping Centre in Plymouth on 29th November between 11am and 2pm and is also planning an evening of “Evening of Dartmoor Stories” at the Lydford Country house Hotel one evening in December.